No strata fees in this 4 bed 3 bath half duplex, including a 1 bed 1 bath above ground suite with separate laundry! Vaulted ceilings in the living area and large windows throughout the house create a bright and spacious atmosphere. 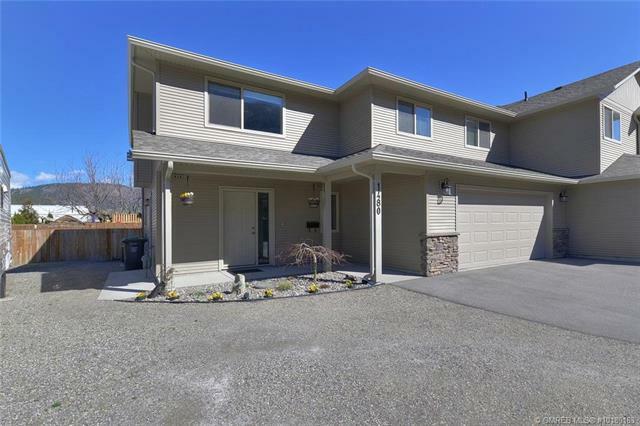 Conveniently located in West Kelowna’s Lakeview Heights, you’re a 10 minute drive to downtown Kelowna and less than 5 minutes from West Kelowna. Walking distance to elementary, middle, and high schools, hiking trails, wineries, gyms, and restaurants you’re near it all. The fenced backyard includes a large green space to play, and a garden for the green thumb in the family. There is RV, boat, and tenant parking in addition to the large double car garage. Some of the other features of the home include gas bbq hookup, stairs off the back deck, updated landscaping, and sound proof insulation between floors.